CONSTRUCTION ALERT: Construction began in Fall 2018 with a projected end date 2nd Quarter 2019. 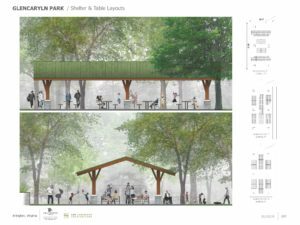 Note: The parking lot and the shelter will be closed during construction. There will be asphalt operations taking place on April 3 at the drive entrance off 3rd Street S. & S. Harrison Street into the parking lot of the shelter. There will be no access for pedestrian or vehicular traffic. The restrooms are temporarily closed during this time to facilitate construction. 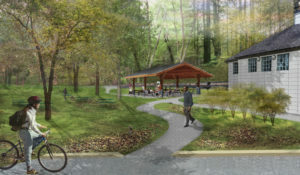 This is a Capital Maintenance project that will renovate picnic shelter #2 (shelter closest to playground and restroom), the open picnic area, and the parking area. All renovated facilities will be brought up to current ADA and Stormwater Management requirements (see links below). 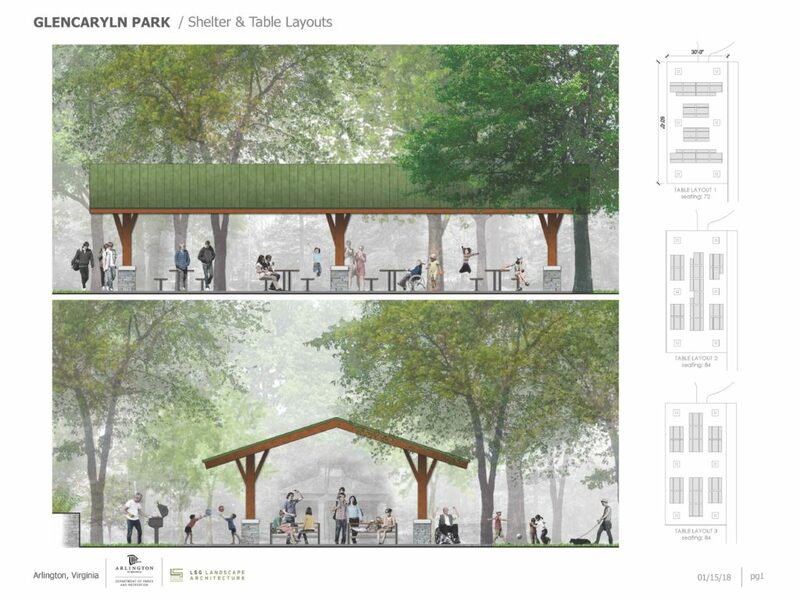 The project consists of the replacement of the existing shelter at Glencarlyn Park, parking area renovations, and related site improvements. Over the lifetime of the existing shelter, the surrounding tree canopy has matured, while the regulatory requirements for work in the Four Mile Run floodplain have increased. Thus this project must address some unique challenges to provide a better experience for community users. View more detailed information on environmental requirements and construction approaches here. Arlington County is committed to being both stewards to our environment and providing access to our facilities for people of all abilities. Learn more about the Standards for Accessible Design we follow based on the Americans with Disabilities Act, and the Virginia Department of Environmental Quality regulations we support for storm water management. 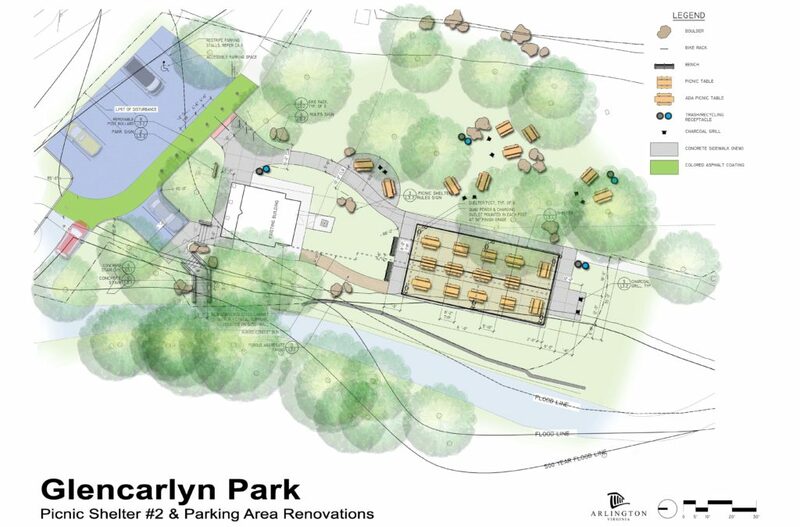 Parks Maintenance Capital funds are intended to renovate and bring up to current standards existing park amenities.